It all started with a simple question: what if...? Internally, I've always been a cautious person. Never wanting to step on any toes, never wanting to disappoint the people I love. Scared to make a mistake, never wanting to seem less than invincible. I've often put others before myself, which can be a good thing. But when it's against your own moral standing or your physical/emotional/spiritual well-being, that's when it's no longer a healthy self-sacrifice. At the expense of myself, I've kept quiet about things that needed to be said out loud. I held those secrets in darkness and in return, they held power over me. And I did that because I thought it was the right thing to do, to sacrifice me to protect the people I love. The truth, good or bad, always comes to the light. And over the last few years, that's exactly what has happened. The good, the bad, the ugly...the mess, the hurt, the shame...all of it has come to the light. In the process, I lost everything...every part of the foundation that made me Pam (or so I thought). No longer a wife, no longer a student, no longer a church leader (and those were my 3 biggest defining things: marriage, school, and church). On top of that, I lost 2 jobs, spent a few months being homeless & sleeping in movie theaters, lost friends, lost a lot of money...All of it, gone within a few years of living in Chicago. What if I became all of who I am, without regret or shame? What if I embraced every part of me, every part of my life that is both beautiful and tragic? What if I looked in the mirror and I loved every inch of me, mind, body, and soul? What if I was okay with not being right all the time or not having the answer to every question? What if I wasn't afraid to talk about finding love again? What if I accepted the fact that I'm human, with raw, extreme emotions? And what if I didn't repress those emotions in some false sense of righteousness, what if I let you see that part of me? What if I decided to live free of darkness? What if I shared what I've learned? What if I became myself, unapologetically? Hello...my name is Pam and I've decided to live an unapologetic life. Now, this doesn't mean I never say I'm sorry...I do all the time. However, what I won't apologize for is becoming all that the Creator has made me to be. No regret. No shame. No fear. I am a beautifully complex being and so are you. Why don't we embrace that together? With that being said, I've re-branded! I thought about waiting to announce this in 2016, but I was like, Nah...why not now??! I've upgraded from The Scholarly Woman into Unapologetically Pam. I'm still a scholar and a woman, but I hope to share much more under my new persona, unapologetically of course. Here you'll find posts about fashion, dating/relationships, divorce, food, fitness, weight loss and more! All of my old posts are still here on the blog, so take a look around and stay tuned for what's to come. Also, I got a YouTube channel (yay!!) where I'll also post videos on these things. 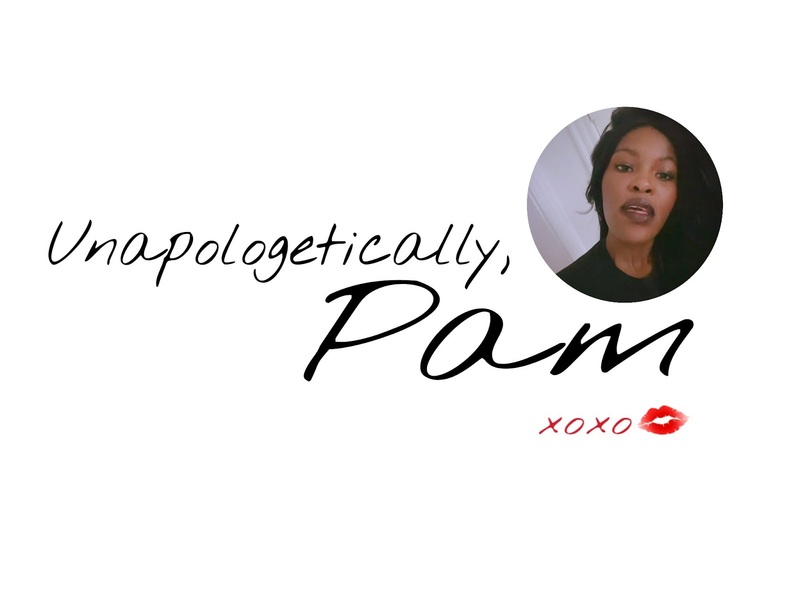 Hit the follow/subscribe button on my YouTube, blog, and other social media accounts to stay updated on all things Unapologetically Pam (links in the menu). Welcome to my world. Welcome to the unapologetic life. What a beautiful post Pam! I admire you and your journey so much... Wishing you nothing but more happiness and success in 2016😊!